Chasing the sun 3000 km across the Australian Outback is a grueling test. And doing it in a solar-powered vehicle is an even bigger challenge. 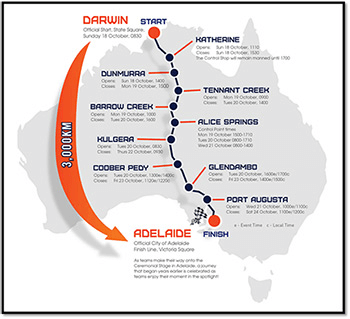 But every two years teams from around the world converge on Darwin, Australia, to make the journey to Adelaide in the solar-powered cars they have engineered specifically for the Bridgestone World Solar Challenge. 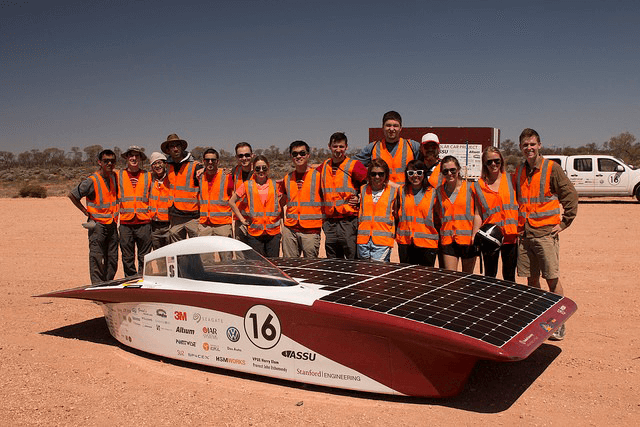 The Stanford Solar Car Project, a student-run, nonprofit organization within Stanford University, has been designing and building solar cars since 1989, and arrives in Darwin every two years with a stunning new vehicle. The latest vehicle in their lineup, Arctan, took sixth place out of 45 teams in the 2015 competition, covering the 3000 km in just over 41 hours. With the aerodynamics of the vehicle playing a critical role in its performance, the Stanford Solar Car Project team developed a repeatable design-simulation framework consisting of Pointwise for rapid hybrid mesh generation, SU2 to run the CFD (computational fluid dynamics) simulations, and Tecplot 360 EX to post-process and interpret the results. Figure 1: Bridgestone World Solar Challenge. Figure 2: The Stanford Solar Car Project Team with Arctan. Acting as the Solar Car team's aerodynamics co-lead was Rachel Abril, a master's student in mechanical engineering. She joined the team back in 2013, and for the most recent 2015 cycle she specialized in mesh generation and mechanical design analysis, and was also a driver. The development of Arctan marked the first time the team brought the entire aerodynamics tool-chain in-house, in large part because of their partnership with SU2. 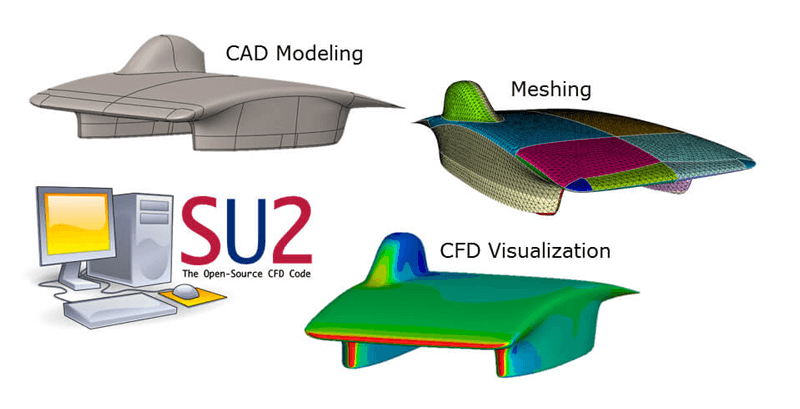 Developed in Stanford's Aeronautics and Astronautics Department, SU2 is an open source collection of C++ software used for multi-physics simulation. 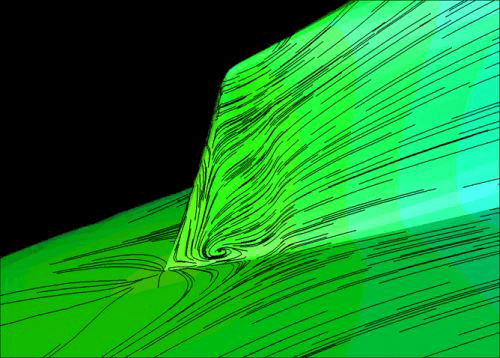 The main reason the Solar Car team used SU2 was for computational fluid dynamics. The team's other key partners were Fort Worth, Texas-based Pointwise for CFD mesh generation and Tecplot of Bellevue, Washington, for data visualization and analysis. Figure 3: The aerodynamics tool-chain with SU2 CFD Code, Pointwise Meshing and Tecplot Visualization & Analysis. Once the car was built and rolling, the team took it to a wind tunnel to verify the CFD results with guidance from SU2 developers David Manosalvas and Dr. Thomas Economon. The car then went from simulation and validation to on-road testing. “We put about 4,000 test miles on the car to shake out any bugs – first at a racetrack and then on public roads. The on-road test miles also serve to train our race crew and to get the drivers really familiar with the car,” Abril said. 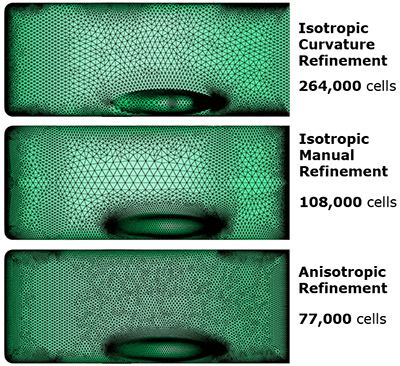 Figure 4: Anisotropic mesh refinement captures flowfield details with fewer cells. A quilt is a logical meshing region where a surface mesh will be generated and boundary conditions applied. It was in the team's best interest to simplify the topological complexity of the model by assembling quilts into larger collections that represented engineering surfaces, such as the left and right side of the canopy, the front of the vehicle, the top of the vehicle, and the fairings. 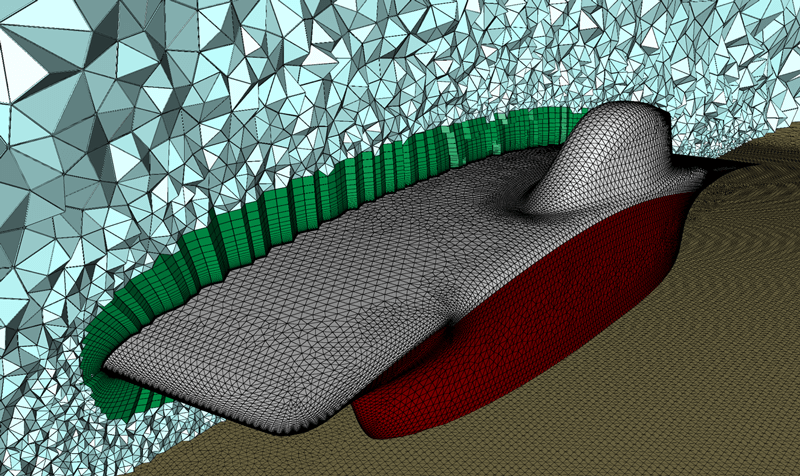 With the solid model and quilts defined, the team automatically generated a uniform surface mesh on the car, and then selectively refined areas of interest. Performing isotropic manual refinement is a very efficient way of generating a surface mesh and allowed the team to reduce the surface cell-count by more than 50 percent. The last step is volume meshing. The team elected to use T-Rex, which stands for anisotropic tetrahedral extrusion, to automatically generate a hybrid viscous volume mesh for the vehicle. T-Rex advances elements off of the surface to create thick stacks of prism elements that transitionnaturally to isotropic tetrahedra in the farfield. “The first thing you want to look at is the surface mesh quality. Why? You're going to be growing elements off of the surface mesh, so if you can guarantee that you have a high-quality surface, that'll go a long way toward helping you generate a very high-quality volume mesh,” Carrigan explained. Figure 5: This slice through the volume mesh shows triangular prism cells in the boundary layer and isotropic tetrahedral cells in the farfield. The Solar Car team used the SU2 suite to simulate the aerodynamic behavior of the car. Taking into consideration the speed at which the car was expected to cruise and the atmospheric condition of Darwin, the simulation was set-up to use the incompressible solver built into SU2. Figure 6: The team used Tecplot 360 EX to automatically generate a standard set of post-processed results for each simulation. After that, Manosalvas explained, the team needed to choose a numerical method. They chose the second-order Roe scheme in conjunction with the first-order Spallart-Allmaras turbulence model, which are considered industry standards. Finally, the mesh name and type were specified in the configuration file. SU2 supports CGNS and SU2 formats, both of which can be exported directly from Pointwise. For the output, they chose Tecplot binary. “The main reason for going binary over ASCII, which we also support, is because it's faster to write, it's faster to read, and it uses less spacein your hard drive,” Manosalvas explained. To understand SU2 simulation results, the Solar Car team used Tecplot 360 EX. The first thing they needed to do is understand if their CFD simulations ran correctly. They wanted to minimize drag and get lift very close to zero. They looked for areas of drag on the vehicle, which is commonly visualized by looking at pressure contours as well as streamlines. How did the Solar Car team use Tecplot 360 EX in their design iterations? They set-up a process where they would do each design iteration, and they had a set of predefined images they could create using plot layouts. A layout is a set of instructions to tell Tecplot 360 EX what data to load and then how to represent it in the view. For example, the team created images that show surface quantities of the pressure coefficient and streamlines going around the vehicle. Figure 7: Results were analyzed in Tecplot 360 EX using multiple frames. Tecplot Product Manager Scott Fowler said Tecplot helped the Solar Car team create some new visualizations, including one using stream ribbons. Ribbons are interesting because they help users visualize turbulence. They can actually see twists in their flow using a ribbon. 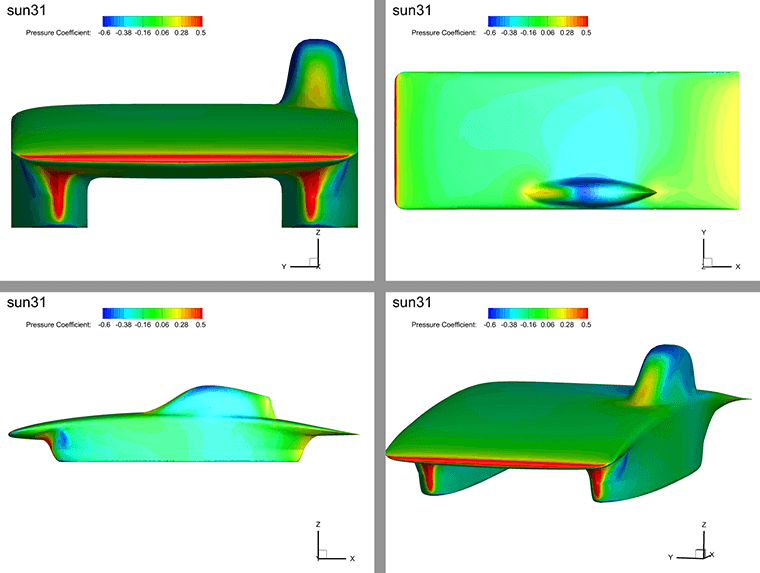 Using short surface streamlines, which simulate an oil-flow plot, Tecplot helped the Solar Car team identify an area of recirculation at the backend of the car's canopy. This was a discovery new to the Solar Car team because they weren't aware of this technique. It indicated an area of the vehicle where the geometry should be changed to reduce possible separation. Figure 8: Surface streamtraces identify area of recirculation. Simulation by Tecplot 360 EX.